Babblings of a Mommy: Vive Dior Workshop. Hope your having a fabulous day so far ladies, if not--maybe this will cheer you up! I thought I'd extend my Vive Dior Workshop invitation to you guys. 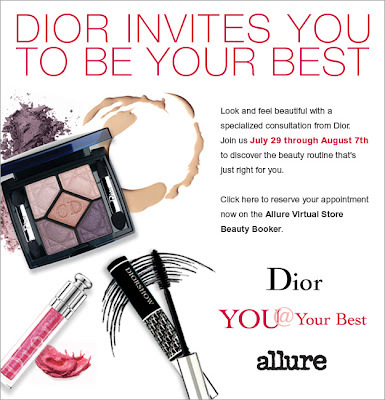 From July 29th to August 7th Dior is having a workshop to learn tips and tricks at your local Dillards counter called VIVE DIOR. All you have to do is go HERE and select and time, date and location and you will have a specialized beauty consultation with a Dior expert! Hi, from FMBT! I'm your newest follower; would you follow me back?